So now the story changes more dramatically so the story now reads...Faizal Bohtiar is a self taught roving and singing accordionist and he will perform various pieces ranging from waltz to polka to jazz and tango. 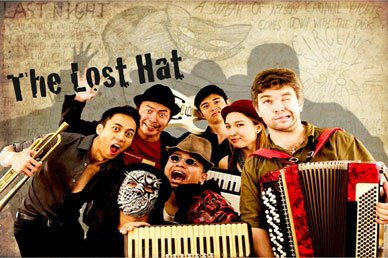 From busking to forming his own band, The Lost Hat, Bohtiar’s music delves into different musical realms from waltz to tango to blues, polka, jazz and country. Not to miss as well, is his trademark lead accordion gypsy tunes. Here at The Busking Project we believe that people actually enjoy the act of tipping! Sounds crazy, but it's true. So, if you've enjoyed what you've seen, please consider "liking" this performer, email them with kind words or even consider sending them a tip — these small signs of support go a long way!